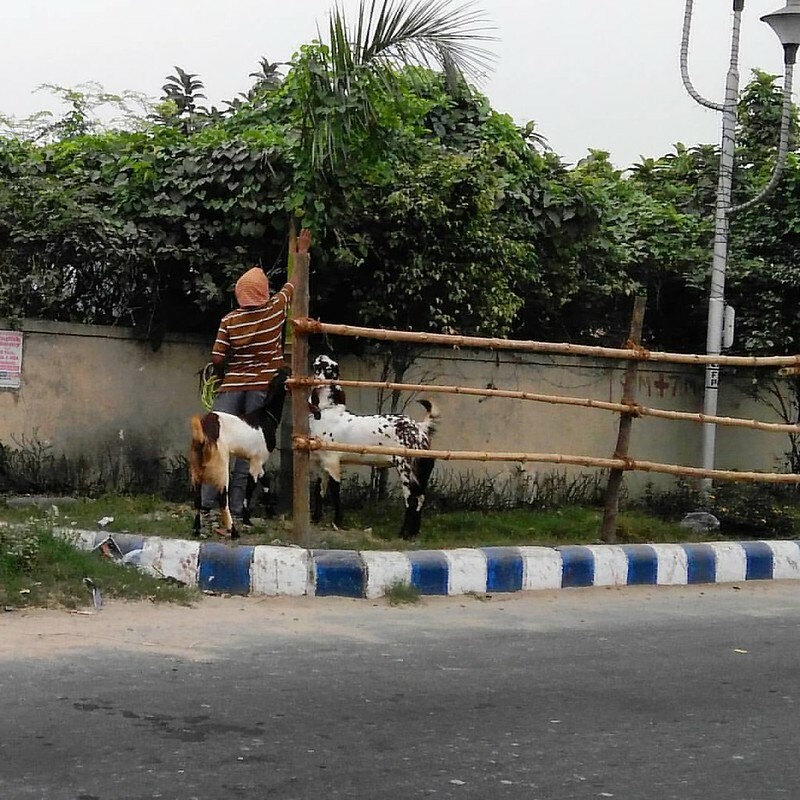 Standing on Sector 5, saltlake city, kolkata its really rare to find a goat. Though its not a new thing to watch for me, as I have surpassed already the farthest distant corners of Kolkata circle for Idea 3G project from Kalyani simanta to Singur, other bank of the river Ganges. But Today I was literally surprised just watching the goats. With the ultimate modernization & civil purposes theres no patch of natural grass or some creep plants which generally these kinds of animals would like to have. Here, the green plants were at a height. These goats used to come here often & standing on their two legs they grant these foods with pleasure. Most interesting thing was it reminded me of that heredity chapter which I learned in my early biology classes of school days, suddenly I was lost in those pages where some good illustrations were made regarding the lengthy neck height of giraffes.